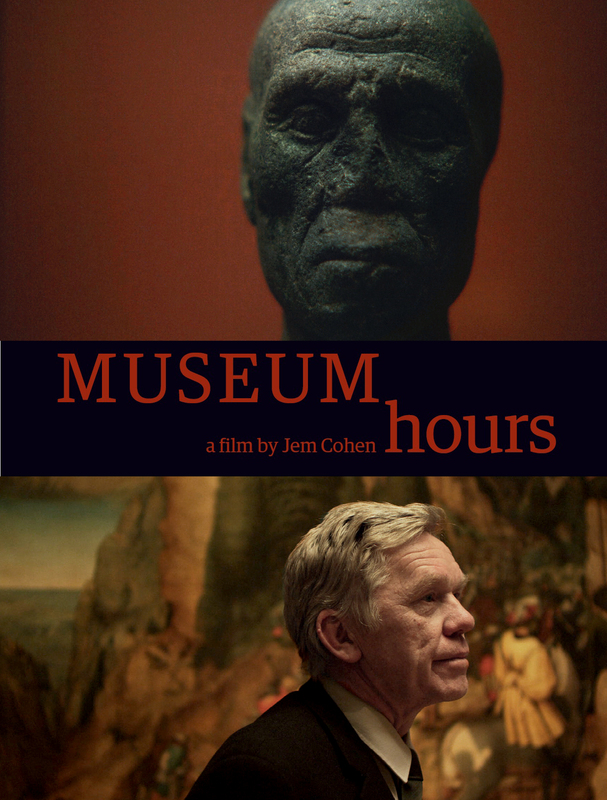 Just returned from seeing Jem Cohen’s extraordinary film Museum Hours, and I’m in reverie. I’ve long been a fan of Jem’s work — in particular the documentaries that evoke character and place in unique ways. I’ve also long had a crush (since 1988) on Mary Margaret O’Hara, who plays Anne, a woman from Montreal who comes to Vienna because a cousin has fallen into a coma. With little money, she spends hours when she’s not at the hospital in the city’s art museum, the Kunsthistorisches. 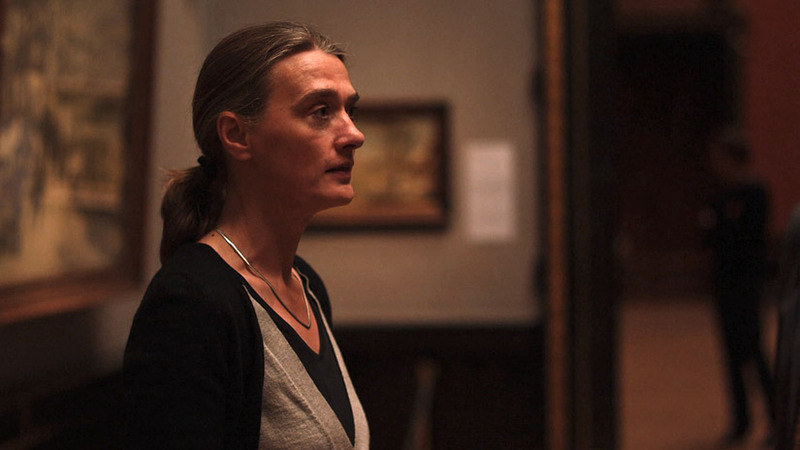 There she meets Johann (Ben Sommer), a former rock-act road manager turned museum guard. “I’ve had my share of loud,” he says, and is now having an equal share of quiet in this grand museum. Throughout the film, Cohen takes us on an intimate tour of the collection of art ranging from ancient Egyptian and Roman artifacts to masters like Rembrandt and Breugel, who has a very famous room of his paintings there. Cohen lingers among the artworks for a long while in between scenes where Johann and Anne get acquainted. Once Johann confirms Anne’s story of her cousin’s condition, he agrees to show her the less-expensive (knowing her situation) sites of the city and his regular haunts. The film moves slowly. But a patient viewer is treated to an unfolding, kind of chaste love story, a growing romance between two people that is natural, gentle and true. Midway through the film, a tour guide takes a group through the Bruegel room. She says the paintings are like documentaries, showing peasant life from the renaissance era. Many who have attended Sunday school will know his depiction of the Tower of Babel. And, like Bruegel, it’s Cohen’s documentary filmmaker’s eye that makes this story work. He brings an attention to detail to the film that evokes a city and a mood, from the tiny details in the dark regions of a Rembrandt to the mise-en-scène of the Vienna street and a rowdy, local pub. I strongly suggest you carve out some time. Inhale deeply. And spend an hour and a half with Anne, Johann, Bruegel and Vienna. Would love to see this – also a long time fan of Mary Margaret o’Hara – is any of this available other than in art house capital city venues?